Chicken Leg Socks--Inspired by Baba Yaga? Today has become an unofficial Baba Yaga day! After sharing the Lego Baba Yaga in today's earlier post, I wanted to share these funny socks that immediately inspired me to think of Halloween costumes and Baba Yaga possibilities throughout the year. Not much to say about them, but they made me smile and imagine so I thought I'd share. And if you are by chance unfamiliar with Baba Yaga, go read some of her tales on SurLaLune. Sorry, the image loader isn't working. I've added my own image captures just in case. They can be acquired in sets or just one color, see them all on the Amazon page where I found them. I was not expecting to see a Baba Yaga cottage and such a great one at that! Again, the Russian fairy tale influence is strong right now. Love it! Some impressive engineering to get that house to sit on those chicken legs, too. There are some other great builds in the gallery of entries. Be sure not to miss them. I don't envy the judges! Vassa in the Night by Sarah Porter was released in late 2016. The novel is a retelling of the Russian fairy tale "Vasilisa the Beautiful," which is itself a Russian Cinderella story. You can read a version of the tale here. The book follows the strong recent trend of Russian fairy tale novels that's been enduring for several years now actually. The Russian versions of popular tales tend to be darker and atmospheric so I can understand their appeal for modern audiences. 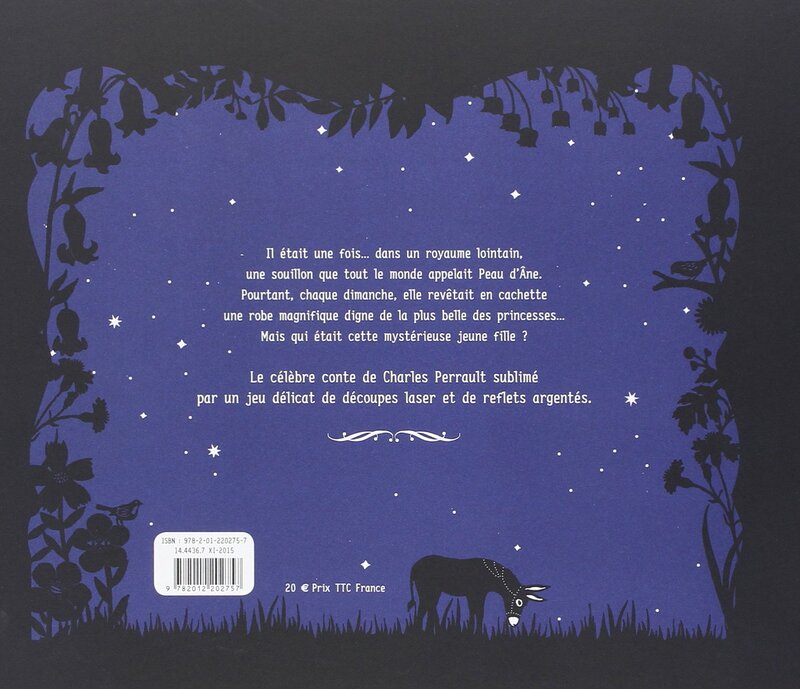 Peau d'âne by Hélène Druvert is one of my recent discoveries, published in France in 2015. The book is available at Amazon.co.uk and Amazon.fr but not in Amazon.com. 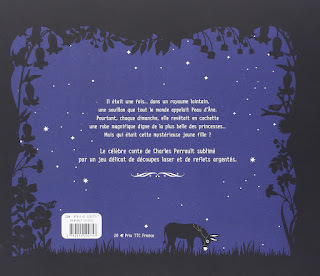 I have a penchant for Peau d'âne picture books which pretty much only come in French since the story is beloved in France but avoided by publishers in other countries due to the possible controversies of the tale of which there are a few. (Not familiar with Peau d'âne? 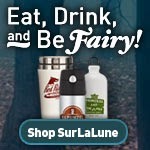 Read Donkeyskin at the SurLaLune primary site.) Which always makes the books even more appealing to me because they are rare to find. This is now one of my favorite renditions. This version also uses minimal text to tell the story, letting the reader take it at face value. Druvert has a beautiful illustration style--using silhouettes to tell her stories. Every other page in her pictures books--for she has illustrated a few titles--are cut out pages, intricately die cut and designed to overlay the pages between them as you turn the pages. The pages are sturdy on heavy stock paper but still fragile since they are die cut. The results are beautiful. So in the images below--which you can click to see larger--the left side of the image is the back side of the die cut page. Other books by Druvert include, with the first two linking to Amazon.com and the second linking to Amazon.co.uk. The Mary Poppins and Paris titles also have the die cut pages. I do not know for sure about the other two. Rose & Thorn by Sarah Prineas was released in the US in October. It is a Sleeping Beauty retelling and is also the second in a series, following last year's Ash & Bramble, which is a Cinderella retelling. This beauty isn’t sleeping! Discover the true story of Sleeping Beauty in Sarah Prineas’s bold YA fairy-tale retelling filled with thrilling adventure and romance, perfect for fans of the Lunar Chronicles and the Girl of Fire and Thorns trilogy. After the spell protecting her is destroyed, Rose seeks safety in the world outside the valley she had called home. She’s been kept hidden all her life to delay the three curses she was born with—curses that will put her into her own fairy tale and a century-long slumber. Accompanied by Griff, the handsome and mysterious Watcher, and Quirk, his witty and warmhearted partner, Rose tries to escape from the ties that bind her to her story. But will the path they take lead them to freedom, or will it bring them straight into the fairy tale they are trying to avoid? Set in the world of Sarah Prineas’s Ash & Bramble fifty years later, Rose & Thorn is a powerful retelling of the classic “Sleeping Beauty” tale where the characters fight to find their own happy ever after. The Star-Touched Queen by Roshani Chokshi is one of those books that has been on my radar for a while for my TBR pile and climbed higher on the list when I attended her panel at the Southern Festival of Books last October. I thought I had already posted about the book, but apparently I haven't. So lucky you if this sparks your interest because the ebook is also on sale for a short time for $2.99, down from the $10ish it was previously. Another bonus is that this book incorporates India (as in the country, not Native American) folklore and mythology. Chokshi loves rich language--and it was revealed she is a fairy tale and SurLaLune reader before she knew I was in the room--so I have many reasons to recommend her here, too! I love this current trend of Indian folklore inspired fiction with books like this and Renée Ahdieh's The Wrath and the Dawn to name a few. I read a lot of Indian folklore as I research so it has a filing cabinet all its own in my brain that I love to see explored through other sources.